The Hyundai Santa Fe has received accolades and awards for its design and safety. The vehicle can be used for travel or accomplishing chores. Crossover concepts are built upon functionality. The Santa Fe is a Sports Utility Van. Santa Fes do not lose the responsive braking, brisk acceleration or agile handling that many crossovers do. 1) Best Cutting Edge Style- A commanding presence and impressive look is created by the combination of daytime running lights and amazing LED lights. The exterior has body color handles. Side mirrors have been integrated with turn signals, and the grille has been changed. The grill is two-tone which emphasized the sportier personality. 2) Safety Features-If a pedestrian is hit, a bonnet will open to protect him or her from being hit by hard parts in the engine bay. Front seat belts come equipped with height adjusters. A rear center seat belt, driver airbag and side airbags ensure passenger safety. A GPS signal is sent in the event of a crash. Emergency service will arrive as quickly as possible. 3) Interior Details-Materials used in the interior are good quality. Door panels are of higher quality than past models. Owners get an armrest with storage and a leather steering wheel. The ritzy cabin looks as though it belongs in a premium model. A classy and contemporary ambience is created with the “pinched” center stack design. 4) Seating Capacity-Another feature usually found in high luxury vehicles is the seat adjustments. The seats can be adjusted almost perfectly so that driver and passengers feel no fatigue at the end of the destination. Seating capacity will accommodate up to seven people in its leather seats. 5) Power Steering-The power steering delivers a feel of refined steering with the use of a 32-bit microprocessor. A retuned “Sport” setting takes advantage of the microprocessor that has been updated to offer firmer steering. The steering has also been enhanced with front wheel bushings. 6) Liftgate-Power Hands-Free Smart Liftgate is a new innovative feature that has Auto Open. While standing a few feet from the rear bumper, with a key fob in a pocket or purse, the owner simply stands and waits for the liftgate to open. Both feet are kept on the ground. 7) Technology-Blue Link telematics service is a standard feature. Maintenance reminders, gas station and restaurant search capability, remote start, automatic collision notification, point-of-interest internet search download and voice-activated text messaging are only a partial list of services offered. Blue Link is an instant concierge, on-site technician and hands-free navigator. 8) Ecologically Friendly-Innovations have been engineered and designed to lower environmental impact. Fuel consumption is lowered with the eco-driving system invention. The most energy efficient route guidance is provided by the eco-telematics. Energy that is created during deceleration is captured and recycled with the regenerative braking system that has been created. Energy savings add up. 9) Fuel Efficiency-The focus of every Hyundai model construction is money and time-saving at the pump. Twenty-five mpg in the city and 67 miles per gallon for highway driving are granted. 10) Warranty-The Hyundai Assurance Warranty is a ten year or 10,000 miles Powertrain Warranty. It is the best warranty offered in America. Other warranties are also offered. They cover everything such as belts, spark plugs and paint. 1) Union workers or other politically involved individuals do not like to buy cars imported from other countries. The Hyundai Santa Fe is an import. 2) Some owners have complained about cold air blowing in the back when heat is expected. The cold air may be an issue for any car having a rear heat option. Similar to running a hot water faucet, the water is cold at first. Air in the ducts will be cold until the heater can warm the air. Putting the heat setting on maximum and closing vents until the air is warm is a likely solution. 3) Past complaints may steer buyers away from the Santa Fe. From 2007-2009, the gas gauge being inaccurate was a common complaint. There were also recalls during that period. Stalling was a complaint lodged against 2010-2012 models. Transmission issues that led to power loss were reported in 2010. Complaints of newer models are hard to find. Hyundai claims the turning diameter is tighter than the Lexus RX 350 or the Chevy Equinox. The pedestrian protection is a standard feature. Usually, that kind of protection is found only in higher class vehicles. The price of a Santa Fe is more than the Chevy Equinox and less than the Lexus RX. An optional panoramic power glass tilting and sliding sunroof is not available with the Equinox. All three have adjustable exterior rearview mirrors. The Lexus and Santa Fee are heated and are equipped with signaling devices. Automatic tilt-down is available only with the Lexus. A key fob allows keyless entry. The Santa Fe and Lexus also have card keys. Like the Lexus, there is a trunk or decklid release that is located on an interior multi-function remote. The Equinox does not have that feature. Both the Lexus and Santa Fe have automatic climate control that is dual zoned. A universal garage door opener is standard on the Santa Fe and Lexus. The cargo area cover is standard on the Lexus, optional on the Santa Fe and not part of the Equinox package. Optional navigation systems are available on the Santa Fe and Lexus. The Equinox does not provide the option. Comparisons show why the Santa Fe is better than the Equinox. For the lower price, most of the features of the Lexus are provided. 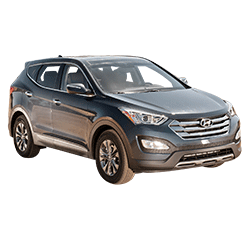 The 2015 Hyundai Santa Fe has more plusses than minuses. Hyundai is joining the list of companies that are the industry's most fuel efficient. 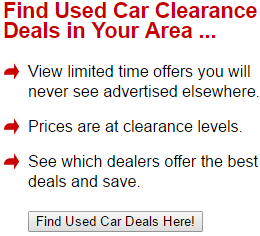 Consistently, they have lower retail prices than the competition. Higher quality and performance and more amenities are provided. With proper care, maintenance is minimized, and resale value is high.